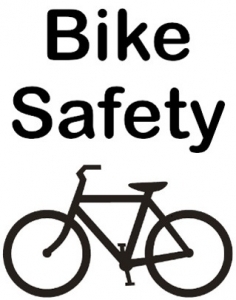 It is the policy of the Portland Wheelmen Touring Club to develop and foster a culture of safe riding and to develop training, communication, and corrective procedures to implement this policy. To read the complete Safety Policy, click HERE. The PWTC would like to have a record of accidents that resulted in the need for medical attention, even if only RICE (rest, ice, compression, and elevation), and occurred during Club rides. To this aim, using the form below an accident report should be submitted by the affected individual (if able bodied and aware of circumstances surrounding the accident) and/or by ride participants who witnessed the accident. This information will be channeled to the Executive Board for discussion at the next Board meeting. Discussion will focus on what may have led to the accident and how it could have possibly been prevented. True or False? Hats or Caps Can be Worn Under Helmets? Bontrager’s “ABCs of Awareness” campaign. Three bright videos that might change how you ride!